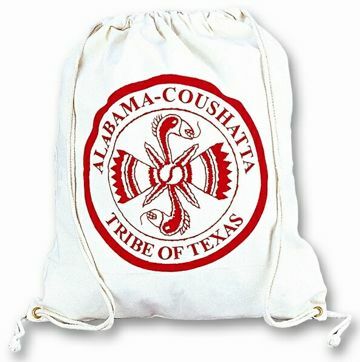 Wholesale Custom Cotton Laundry Bags with Drawstring, Personalized in Bulk or Blank. May be used as Backpack. Inexpensive, Promotional. Large: 20"x28". Lowest prices in USA and Canada. Wholesale cotton canvas laundry bags with drawstring closure on the top, custom imprinted with your logo. The cotton laundry bag can be converted into a backpack and is very functional for school and college students. Made from natural fibers, these bags are eco friendly, reusable, recyclable and biodegradable. 20" W x 28" H. We also supply blank (not custom imprinted) wholesale Laundry Bags: see the Price Table below. Budget Prices in USA and Canada for personalized Cotton Canvas Laundry Bags. American clients pay no taxes. The unit prices below include your 1-color custom imprint on one side, or they are for blank (not custom imprinted) Laundry Bags. Additional Imprint Colors: add $0.30 per laundry bag, per additional color. • Made of 100% 6 oz. cotton canvas. Packaging: Bulk. Individually polybagged: add $0.31 per bag. Production Time: 5-8 days after art approval; blank laundry bags ship next day; Rush 3-5 days production is available: contact us.